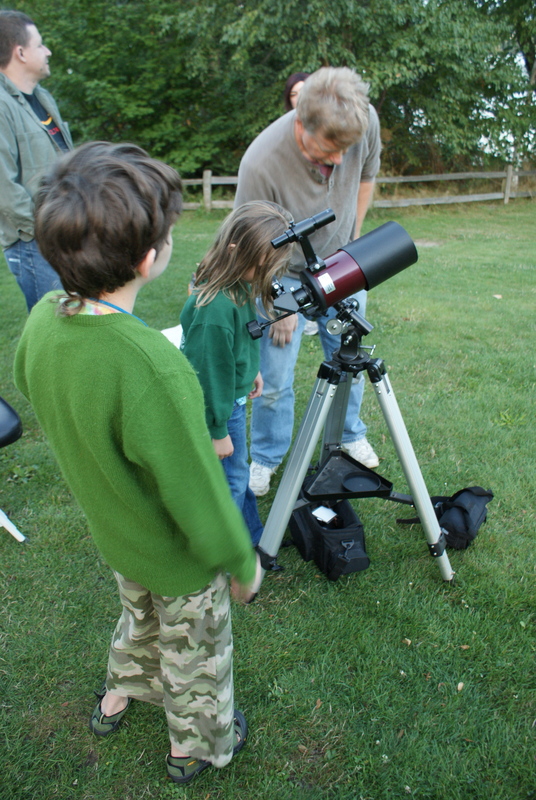 Last weekend we got to go to a Star Party at Green Lake to do a review for ParentMap. It was really fun! We got there just as the sun was going down, and the bats were coming out. A couple of folks from the Seattle Astronomical Society set up their telescopes for the general public to take a look through. Click on over to my article to hear more about our evening there, and to find some great local resources for introducing astronomy to your children. I bet we’ll be trying to make it to more of these monthly star watching events!